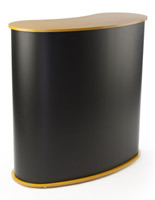 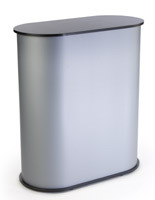 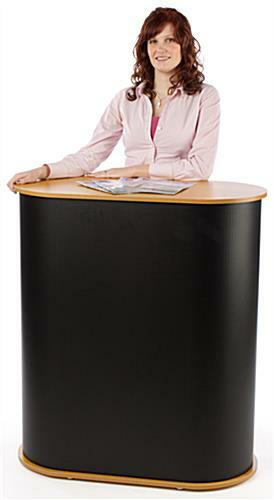 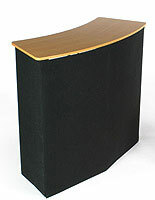 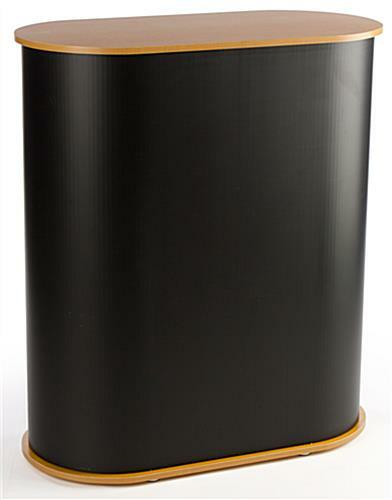 This demo stand has an MDF top and base with wood grain finish and a corrugated plastic overlay that is black. 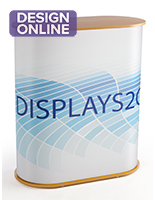 The color combination of the portable trade show display assures vendors that it will fit into many environments. 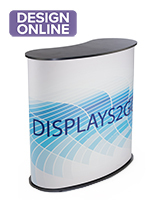 The demo stand with hidden shelf is able to store merchandise, equipment, flyers and presentation aids. 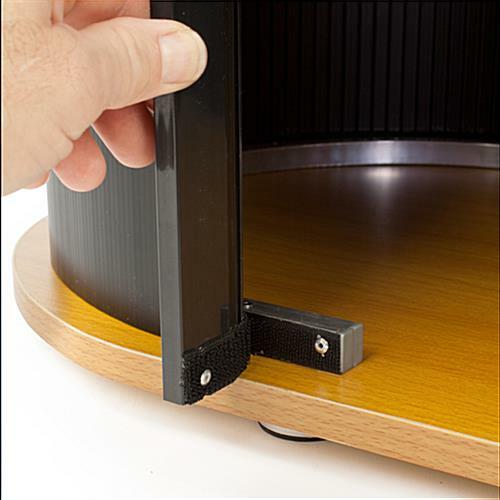 The pop up table is easy to set up and tear down thanks to the hook and loop at the bottom of the unit. 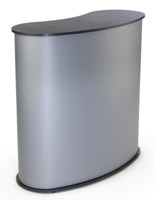 The stand comes with 2 bags that are padded and fit the rolled up wall in one and everything else in the other. 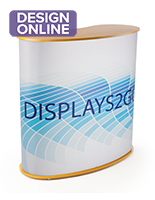 The portable pop up display has a 35” countertop that offers plenty of demonstration space for merchandise at trade shows. 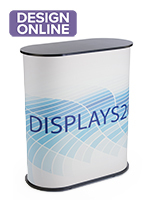 I was looking for things to change up the look of our booth at the travel shows we attend, and this portable counter was exactly what we were looking for! 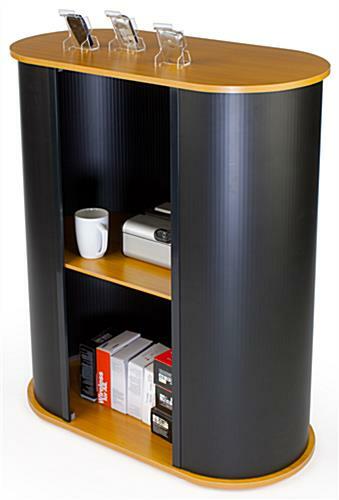 The height is just right, and love the shelf to "hide" a few things! 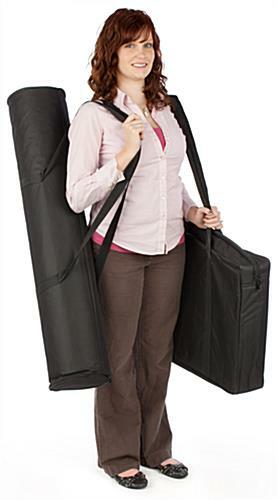 Thanks for your feedback and for sharing your image, Deborah!